No matter where you are in the world an Italian restaurant seems to always hit home as a dinner option. 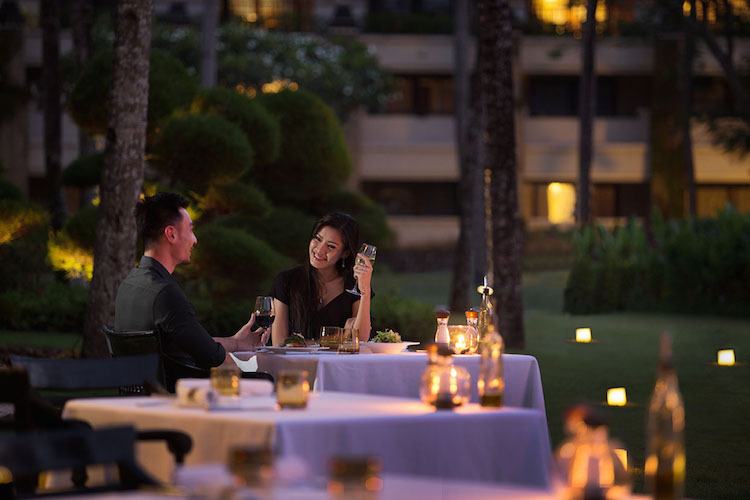 Even here in Bali, with local dishes and bites galore, you always seem to crave the comforts of Italian cuisine. Quenching those cravings in the Jimbaran area is Bella Cucina, a lush, stylish restaurant perfect for an elegant dining experience. Open exclusively in the evening, Bella Cucina (meaning ‘beautiful kitchen’) lights up in a warm, cozy ambience. Inside, a fully air-conditioned room is fitted with fine wooden flooring, classic furniture and white tabletops, adding to the elegance. For those who love the fresh air, the restaurant’s terrace spills out into the tropical gardens where fiery lanterns light the area. Ah, the food. Atmosphere and decorations aside, ultimately the food is what you come for. Bella Cucina’s Executive Chef is passionate about classic Italian recipes; we often overlook Italian food as simply pasta and pizza but really the regional specialties of the country are what really make the mouth water. 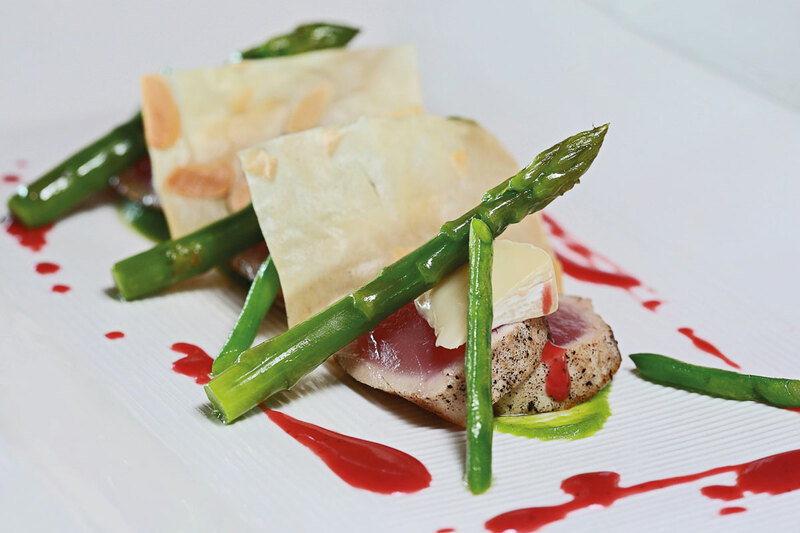 From starters to sweets, the Bella Cucina menu offers an array of authentic bites made with a twist from the Chef himself. A Raw Food menu means that new-age diners can stick to their healthy lifestyles in luxury with Zucchini Lasagnas and Raw Chocolate Mousse on offer. One menu displays only the best carpaccios in town including Beef Carpaccio with truffle mayonnaise to Gratinated Jumbo Prawn wrapped in parma ham. 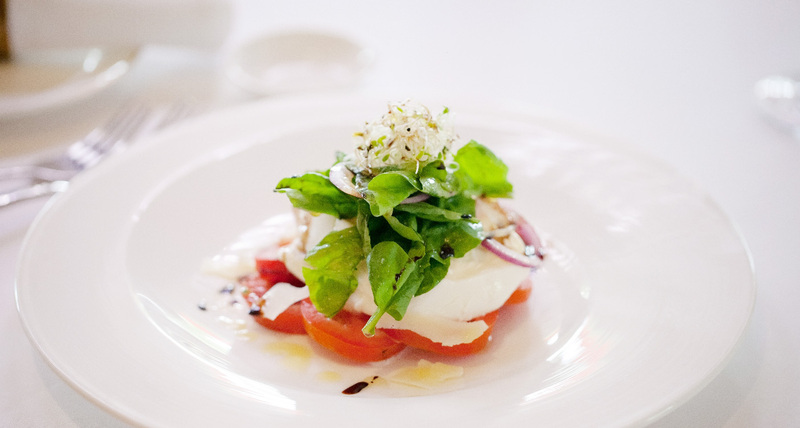 Classics like the Caprese Salad are prepared to perfection. Of course this is but the beginning of the menu as the Primo courses come forth. 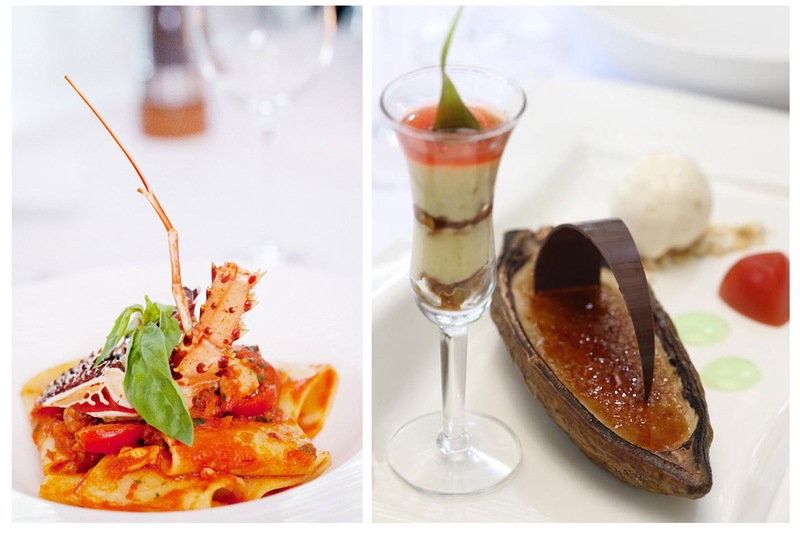 The pastas, split into seafood and meat options, offer delectable selections including fine ingredients. The Paccheri Rummo is a favourite, a rich pasta with Lombok Lobster, rum, tomato sauce, chilli and parsley for a balanced flavour. The Farfalle Vodka brings smoked salmon vodka and dill cream into an extraordinary combination. The heavier Secondi menu is of course the most awaited, with offerings like Veal Ossobuco served with saffron risotto and a citrus salad; and Pink Pepper Lamb Loin served with a fragrant spinach puree. Of course, as in Italy, the meal doesn’t stop there. A selection of cheeses are on offer, served with Balinese grapes and garlic bread. For the sweet tooths a Classic Tiramisu awaits, as do crepes, semi freddo, cannoli and other Italian favourites. Finalmente, an Italian gelato to cool off the palate. Did you say wine? As the world’s second largest producer of wine, Italy by all means embraces their vino; from their Chianti’s to their Sangioveses, Italian wines go hand-in-hand with Italian food. Bella Cucina prides themselves in their wine cellar. 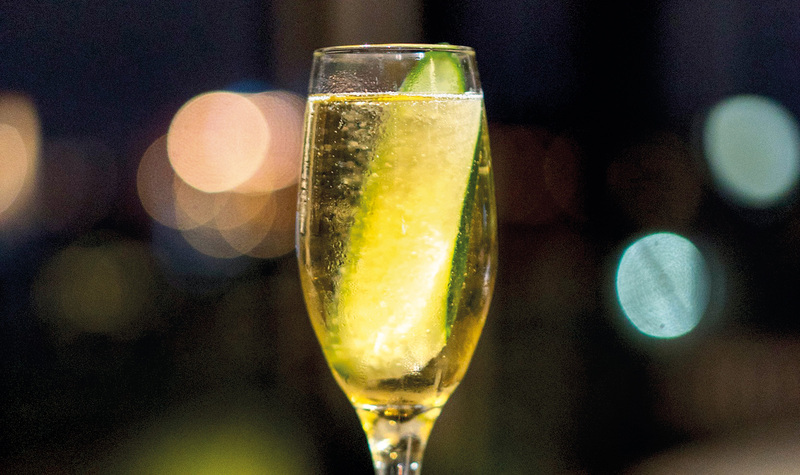 Fully stocked with wines and champagnes from all over the world – but why not tie in the Italian bottles and make a night out of it? 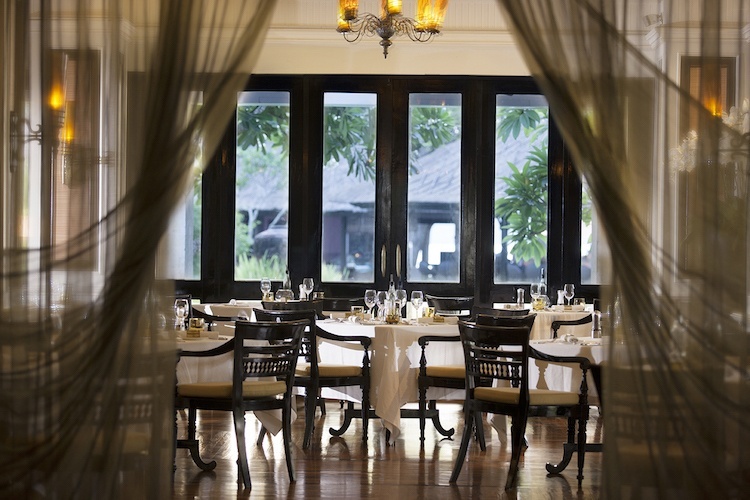 Elegant and authentic, this Italian restaurant in Jimbaran serves as a perfect option for a romantic evening dinner. Sit down for a dish or two (or three), a glass of Italian wine and eat as the Europeans do, in a long and leisurely manner, enjoying the company of others. Private Dining: Enjoy the Surya dining room designed in the fashion of a glass conservatory (seating 16) and a haven of sophisticated elegance with chandeliers and gold-plated cutlery. Meanwhile, an upper-level dining room offers further privacy and is ideal for corporate, family or wedding groups. Private lunches and receptions can be hosted in both areas. Cena di Famiglia: Make your Mondays better with this incredible family-sharing menu and enjoy traditional home-cooked dishes “just like Mama used to make”. Starting with a large sharing platter with cold cuts, marinated vegetables, olives, country breads and Italian cheeses. Then move on to the Primo course, prepared live by the chef at your table, including a risotto mixed in a parmesan cheese wheel. For the main course, diners will be able to select their preferences from the special à la carte menu, which will accompanied by a sharing platter of garnishes that typify the rustic Italian countryside style of cooking. Find out more.